Never let it be said that Apple is afraid to shake things up. After sending some fans into a tizzy by changing their headphone jack from 3.5mm to Lightning with 2016’s iPhone 7, Cupertino shook their user base again a few months later, upgrading all the USB, SD, MicroSD and other peripheral ports on their MacBook line with new school USB-C ports. Apple argues USB-C is faster, more versatile, and ultimately, the (italized) connector for forward-thinking user. Regardless of the logic, it’s small conciliation for those still touting loads of USB plugin devices that now require adapters and dongles by the truckload to connect to a new MacBook. 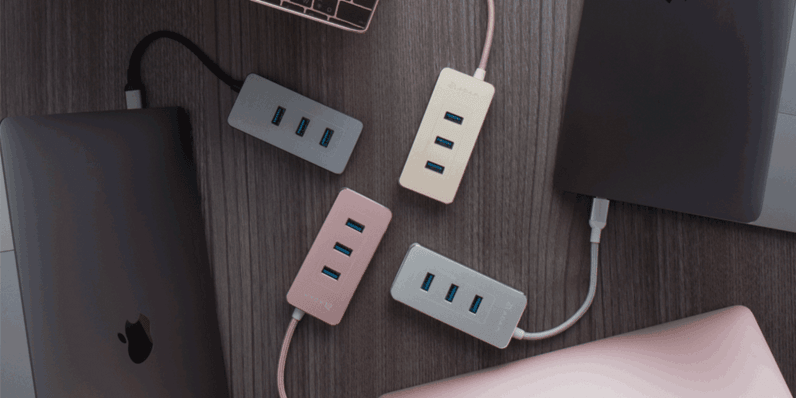 CASA’s HyperDrive ($49 from TNW Deals) addressed that problem with a simple, elegant answer: a tiny, sleek travel adapter that offers up to six additional USB, SD and other ports to handle all your connection issues. Instead of carting around a bunch of extra cords, adapters and dongles, The HyperDrive is only four inches long, weighs less than four ounces and connects easily to your laptop’s USB-C port. In addition to another USB-C port, the HyperDrive sports three USB 3.1 ports, an SD card slot and a microSD card slot, allowing you to plug in virtually anything. The HyperDrive also has some pep, capable of processing 4K video files at 60fps for viewing, transfer data at up to five Gb/s or use its 80W power rating for super-fast power-ups. Just slip the HyperDrive in your pocket, grab your laptop and you’re set. With the current deal, it’s also $10 off its regular price at $49.